Find a Drummer for hire near you in minutes! Option 1. Enter your event location below & contact a Drummer directly! Option 2. Request multiple quotes from available Drummers Get Quotes! Option 3. Read information & advice on hiring Drummers Read Advice! WANT TO KNOW MORE ABOUT DRUMMERS? Read on for the most comprehensive guide to booking a Drummer, including how much a Drummer costs, exactly what they will do at your event, plus tips, advice and information to help make your event one to remember! A Drummer will set the rhythm of your party by pounding the bass drum, smashing the snare, and hitting the cymbals, playing a wide range of beats and drumming up excitement in your crowd! What exactly will a Drummer do at your event? A Drummer can perform as a solo mix and mingle act with just the snare drum attached to him or her where they will parade around your venue and drum along to the music playing, elevating the beat to a more vibrant sound! A solo Drummer can also put on a real show by hoisting a tom drum into the audience and getting the crowd to bang along! They can play to the beat of famous drum solos such as ‘In the Air Tonight’ by Phil Collins, ‘Hot for Teacher’ by Van Halen, or maybe a bit of ‘The End’ by The Beatles! We have Drummers for hire that can be part of your band. A good Drummer can really take your band’s professional sound to the next level, because as we all know, timing is everything! 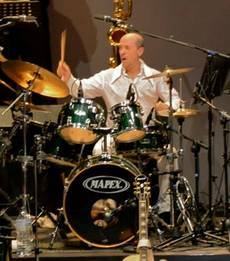 When you hire a professional Drummer, you will get a Drummer that can move between genres, be it Funk, Rock, Soul, Pop, Metal, Ska, Reggae and much much more! 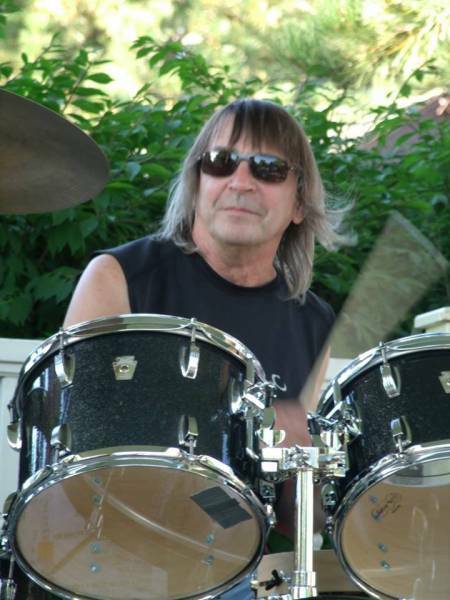 When you think of famous Drummers, you may think of Ringo Starr, or Phil Collins, or Ginger Baker or Keith Moon or Charlie Watts, or Dave Grohl…The list goes on and on! Solid proof that Drummers are key to great music and are becoming increasingly popular to hire! You may require a Rock-Drummer to play a 4-to-the-floor beat and to really advance your live band? Or maybe you would like a Drummer that uses a ‘Jazz-Kit’ or an Electric-Kit’ to provide a steady beat, but at a quieter level? Mainly, a Drummer will entertain your audience with a fantastic live show that will put the wow factor into celebrations and impress your guests, whatever their entertainment tastes may be. What event types are Drummers hired for? Maybe you are a professional wedding band looking to hire a Drummer to complete your sound? Here at Entertainersworldwide.com, we have talented Drummers available for hire to suit every wedding group! The wedding guests will really appreciate a live Drummer adding atmosphere to the wedding music. By hiring a Drummer for the evening reception at your wedding, you are not only keeping the beat going all night, you are keeping your guests dancing all night too! If you are looking for a Drummer to join a fabulous line-up of professional musicians at your corporate event then look no further! We have a long list of talented Drummers that are ready to rock up and pound the drum skins for your entertainment! A Drummer will keep all of the musicians in time with each other and will set your event from the rest! A professional Drummer will put on a real show and will encourage your co-workers, bosses and clients to get up and dance the night away! Perfect business events to consider live drum hire for would be: a trade show for musicians (especially drummers!) a music shop opening, after dinner entertainment as part of a band, end of financial year party and Christmas parties. 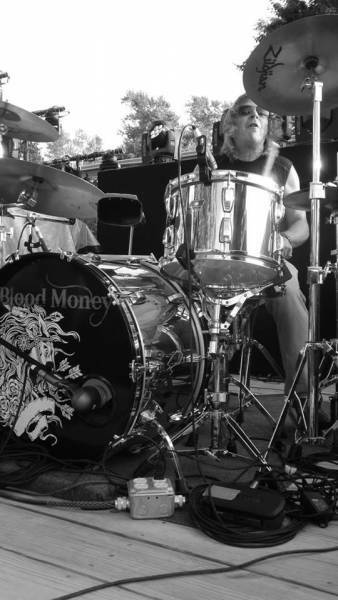 It’s worth noting that when you hire a professional Drummer for a party, you can request that the Drummer plays on a stripped down drum-kit consisting of a simple bass drum, snare drum and ride. They can play with brushes instead of drum sticks which will produce a much quieter sound. This is often referred to as a ‘jazz-kit’. So, what does this mean for my party? This means that a Drummer can be hired to play on a much smaller scale and at a much softer environment, which won’t disturb your party guests conversations, but will instead gently add to the ambience! Alternatively, you may want to hire a party Drummer to rev up the dance moves at your party?! A pro Drummer can provide an African feel by passing around bongos for your crowd! or maybe a tambourine for a more folky audience?! Hire a Drummer to set the tempo at your party now! If you have some studio time booked, and you are looking for a live professional Drummer to hire, then you’ve come to the right place! By booking a talented and versatile Drummer, you will get a fully trained and experienced live Drummer available to play on your session in the studio! No matter what the genre of music is, a professional Drummer will be able to pick up the beat easily and incorporate professional fills and skills! How much do Drummers cost to hire? Our simple to use entertainment directory allows you to firstly search for the best Drummers who are local (or travel to your area) and then via the contact form you may message them directly to enquire for a no obligation quote to perform at your event. Some acts will also add a rough price guide to their profile for your convenience. What are the usual set formats and performance lengths for Drummers? A Drummer can tailor their performance times to suit you and your event, however, on average a professional Drummer will perform for two 45 minutes sets. How much space will a Drummer need at your event? On average, a professional Drummer will use a 4x8ft area rug, as this will accommodate a 5-piece drum kit set-up. Obviously this will differ depending on what type of Drummer you hire. If you only require a solo Drummer to mix and mingle then you only need space for the Drummer and the snare drum! What equipment and set up requirements do Drummer Acts need? As with most artists who sign up to Entertainersworldwide.com, a Drummer should provide all of their own equipment. You may want to enquire if the Drummer needs a PA to amplify their sound, in which case we would advise to use our easy to use messaging service to find out. We do ask that each performer gets a backstage area in which they can prepare for the performance ahead. If your venue does not have a backstage area, then we kindly ask that you enquire with the venue to seek an alternative space in which the performer can comfortably get ready to entertain. How can you find and book a Drummer with Entertainersworldwide.com? WANT TO RECEIVE A RANGE OF QUOTES FROM Drummers?